Home Improvement Tips to Save Energy in summers? The look and feel of a living space has long been primary consideration of its inhabitants. Modern standards of architecture have stretched these demands even further. One such element is carrying out improvements to save energy. Ever rising costs of electricity in Pakistan has put extra pressure on architects. Every construction company in Lahore is integrating energy saving plan into the design element to entice customers. Follow these simple home improvement tips to get a better looking house that also gives you meaningful savings at the end of each month. Occupancy sensors should be installed in all rooms of a house. These sensors switch on or off lights or other electrical appliances by detecting if a room is empty or occupied. The sensors vary in types depending on the technology behind. 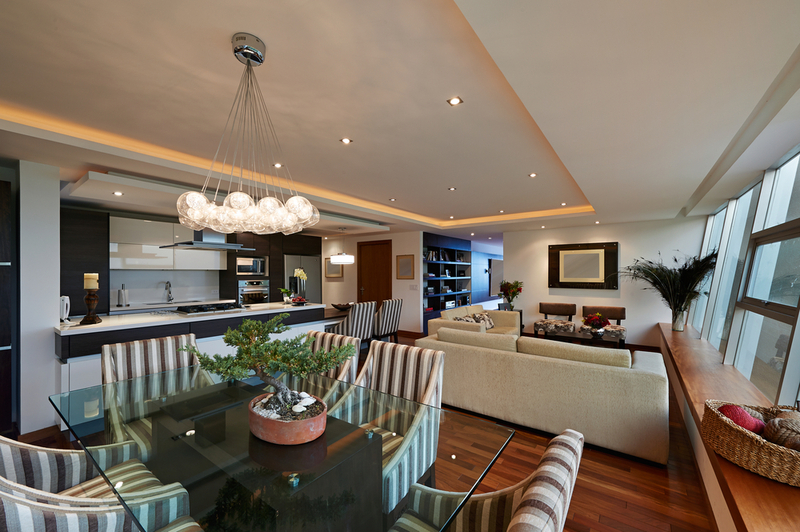 The occupancy sensors may work using ultrasonic, infrared, or microwave technologies. Installation of occupancy sensor is a one-time cost but saves you money in the longer run. Whenever someone leaves a room the devices attached to the occupancy sensor are automatically switched off. This eliminates the need to physically switch off each device separately. Roofs, floors, and walls are areas which are directly responsible for heating a home. The increased levels of pollution in atmosphere are gradually increasing global temperatures worldwide. In this situation, insulation materials can play a significant role in shielding inside of the house from extreme temperatures outside. Thermopore and several other materials are available in the market to act as heat insulators. Some architects have also devised special roof tiles which keep the roof’s heat from affecting the insider temperature. Technology is changing rapidly. New and technologically advanced home appliances are more energy efficient. We can take the example of new air conditioners that consume less electricity than the previous models. Ideally, you should try to keep changing home appliances after every few years to conserve energy. Air conditioners, TVs, Refrigerators, and Water Dispensers are prime examples of such devices. Similarly, tungsten bulbs and tube lights consume high amounts of electricity. They can be easily replaced with more energy efficient yet better illuminating LED lights. LED lights do not only save energy but they emit white light, increasing the intensity of light. In Pakistan, very few home owners actually know about the concept of energy audit. Modern architectural services in Lahore and other parts of the country are making people aware of increasing importance that they should place in energy audits. An Energy audit helps a homeowner know how much energy is actually consumed, where the energy has been lost, and the measures, which should be taken to stop this energy waste. Small leakages of air conditioner cooling can pile up a lot of electricity at the end of every month. There are many energy audit companies which provide professional services. This energy audit will also help homeowners decide which electric devices can be permanently shut down.